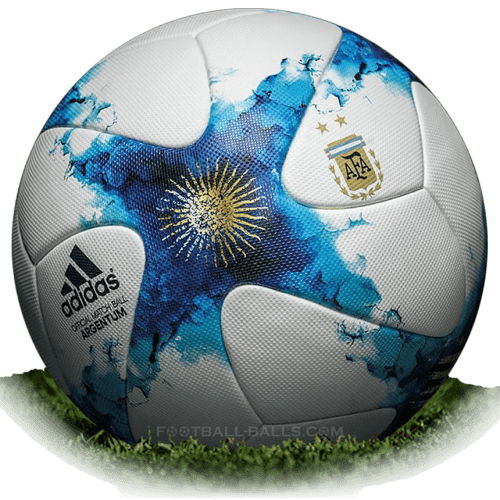 Adidas Argentum 2017 is name of official match ball of Superliga Argentina 2017/2018. 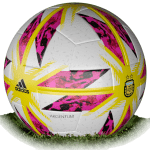 The structure of the Superliga Argentina ball 2017/18 incorporates an innovative and widely praised panel shape, offering a premium covering structure, better grip and high visibility in the air. A very beautyful design, sky-blue and white lines refer to Argentine flag. 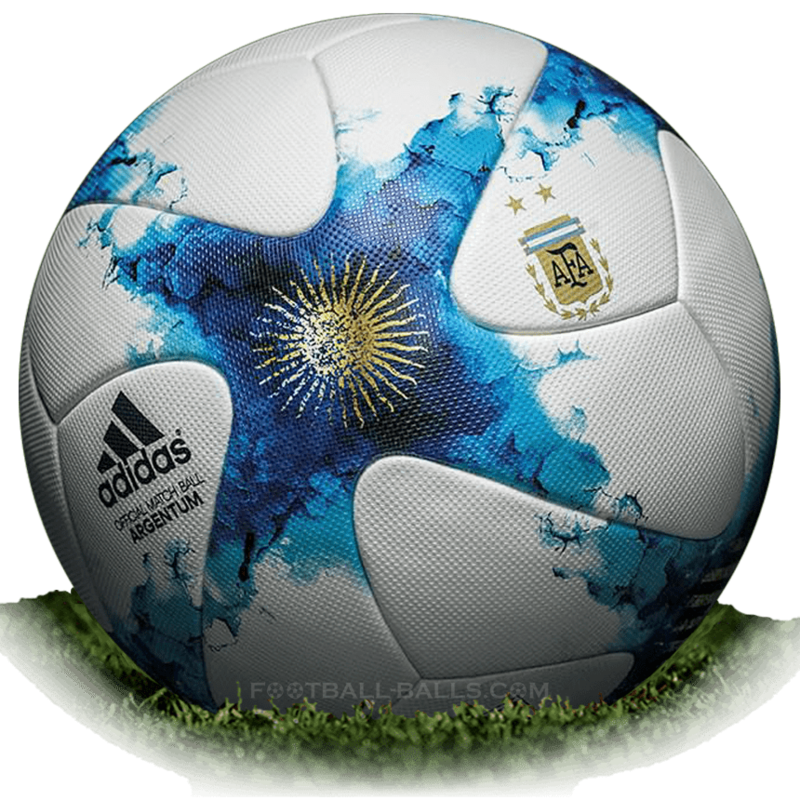 The Superliga Argentina 2017 ball has the name of the ball "Argentum", logo manufacturer and AFA logo on shape.